Go back in time to the 1920’s and 1930’s and visit coffeehouses of Lviv! September 27, 2015 at 1:00p.m. 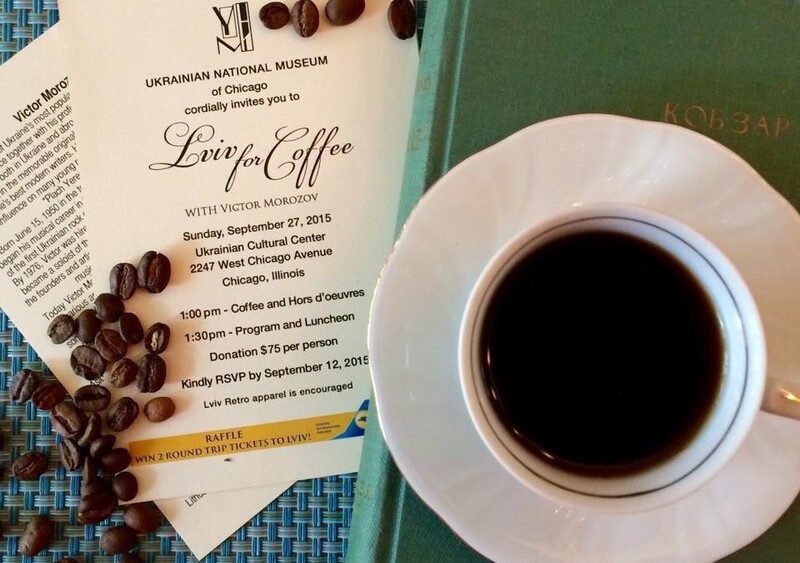 Buy your $75 ticket to a Lviv coffeehouse today! Limited availability! For those passengers who enjoy getting into the spirit of the theme we encourage you to dress retro. En route to Lviv, enjoy coffee beans from Lviv paired with finger sandwiches. Upon arrival, Victor Morozov will take you on a tour through the coffeehouses of Lviv during which you will enjoy a delicious lunch. Victor Morozov is one of Ukraine’s most popular singer-songwriter and translator of the Harry Potter series. Raffle tickets for two airline tickets from New York to Lviv, compliments of Ukraine International Airline. Join us on a journey back in time, laugh, sing, win, enjoy the magic that is Lviv.